The Iraqi Parliament has not requested Russia's help with regard to launching airstrikes against ISIL, Russian Ambassador to Iraq Ilya Morgunov said. 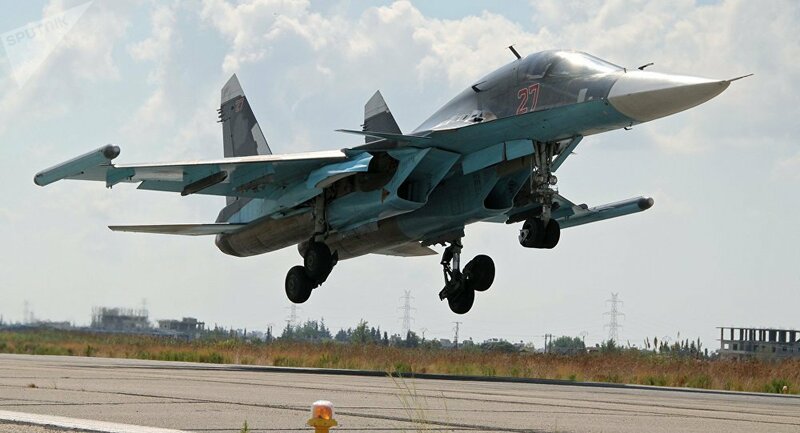 MOSCOW (Sputnik) – On September 30, Russia launched pinpoint airstrikes against ISIL targets in Syria following a request from Syrian President Bashar Assad. Russian Deputy Defense Minister Anatoly Antonov said earlier that Baghdad had not requested similar assistance so far. Russia and Iraq, alongside Iran and Syria, created the Baghdad Information Center to coordinate military actions against the ISIL extremist group in late September. “No, this is an initiative by one of the parliament’s factions. This topic has not been discussed through diplomatic channels and there have been no requests to the Russian side on this, nor consultations have been held concerning this issue,” Morgunov told RIA Novosti in an interview. Last week, an Iraqi lawmaker from the Shiite coalition told Sputnik that the country's parliament may begin discussions to request Russia's help in providing military aid in the fight against the Islamic State. The US-led coalition's fight against ISIL in Iraq may continue for years, the Russian ambassador said. “Yugoslavia was bombed by more than 1,200 US aircraft, and the number of aircraft in the current so-called coalition in the fight against terrorism is around 100. At this pace, the fight against terrorism will go on for years,” Morgunov said. The United States has also said numerous times that “the fight against the Islamic State in Iraq would be long, perhaps even years,” he added.